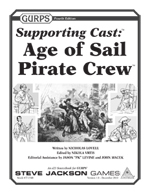 Adventure seeds and ideas for working this pirate crew into your games – as enemies, rivals, or even allies! GURPS Low-Tech contains additional information on weapons and technology (especially nautical gear) used during this era. 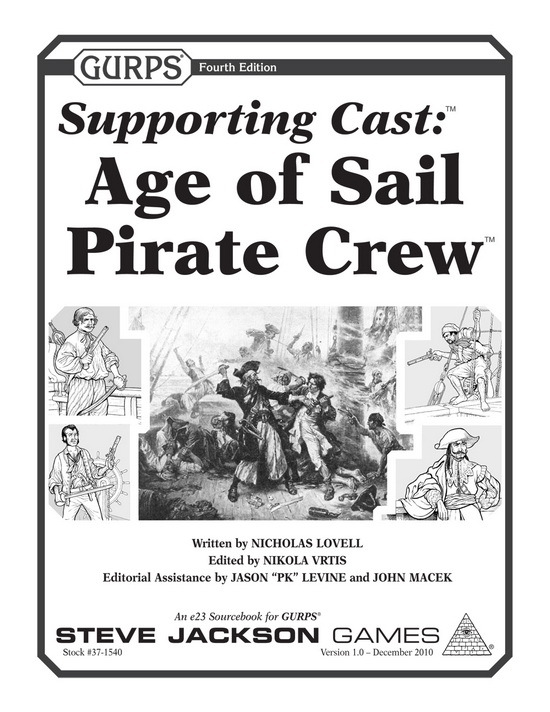 See Pyramid #3/64: Pirates and Swashbucklers to get opportunities for adventure, excitement, and options where a pirate crew would feel right at home!